Measurement of femoral anteversion by magnetic resonance imaging - evaluation of a new technique in children and adolescents. 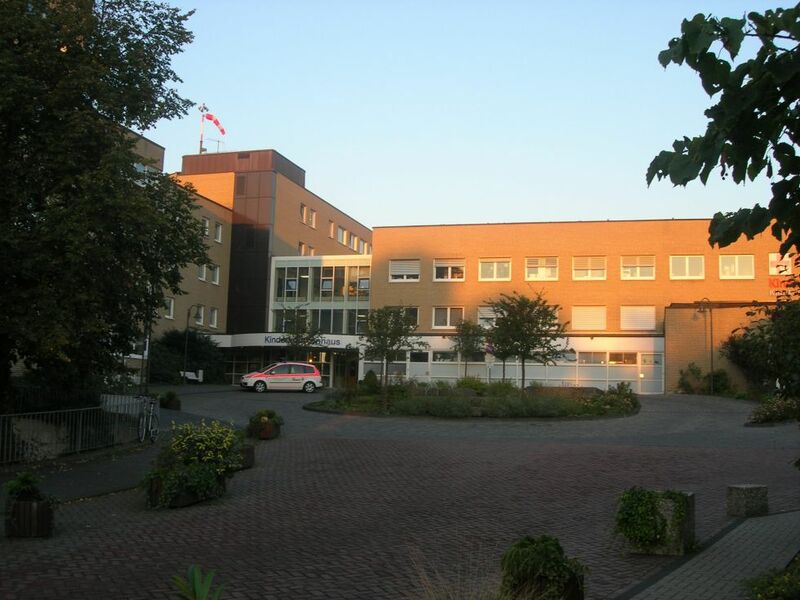 Femorale Antetorsion: Stellenwert klinischer und bildgebender Untersuchungsverfahren bei Kindern und Jugendlichen. Reproduzierbarkeit der röntgenologischen Beurteilung von Coxarthrosen. Inzidenz und Prävalenz der Cox- und Gonarthrose in der Allgemeinbevölkerung. MR imaging measurement of the femoral antetorsional angle as a new technique: Comparison with CT in children and adults. Erste Ergebnisse aus der Evaluationsstudie des sonographischen Hüftscreenings in der Bundesrepublik Deutschland. Serum Cholesterol and Osteoarthritis. The Baseline Examination of the Ulm Osteoarthritis Study. Häufigkeit gelenkspezifischer Risikofaktoren bei Patienten mit fortgeschrittenen Cox- und Gonarthrosen in der Ulmer Osteoarthrosestudie. Reliability of radiographic assessment in hip and knee osteoarthritis. Reliability of radiological measurements in the assessment of hip dysplasia in adults. Hormone replacement therapy and patterns of osteoarthritis: baseline data from the Ulm Osteoarthritis study. Obesity, overweight and patterns of osteoarthritis: The Ulm Osteoarthritis Study. Reproduzierbarkeit radiologischer Klassifikationskriterien der Femurkopfnekrose. Non-insulin dependent diabetes mellitus (NIDDM) and patterns of osteoarthritis - the Ulm osteoarthritis study. Hysterectomy and patterns of osteoarthritis - The Ulm osteoarthritis study. Determinants of impaired renal function with use of nonsteroidal anti-inflammatory drugs. The importance of half-life and other medications. Prädiktoren des Behandlungsverlaufes nach Umstellungsosteotomie bei Hüftkopfnekrose. Zhang W, Doherty M, Arden N, Bannwarth B, Bijlsma J, Gunther KP, Hauselmann HJ, Herrero-Beaumont G, Jordan K, Kaklamanis P, Leeb B, Lequesne M, Lohmander S, Mazieres B, Martin-Mola E, Pavelka K, Pendleton A, Punzi L, Swoboda B, Varatojo R, Verbruggen G, Zimmermann-Gorska I, Dougados M.
EULAR evidence based recommendations for the management of hip osteoarthritis - report of a task force of the EULAR standing committee for international clinical studies including therapeutics (ESCISIT). Sports activities five years after total knee or hip arthroplasty. The Ulm Osteoarthritis Study. Indications for total hip replacement: comparison of assessments of orthopaedic surgeons and referring physician. Hüftendoprothesenimplantation bei Dysplasiecoxarthrose: Follow-up eines kleindimensionierten zementierten Geradschafts. Krummenauer F, Wojciechowski C, Ranisch H, Witzleb WC, Günther KP. 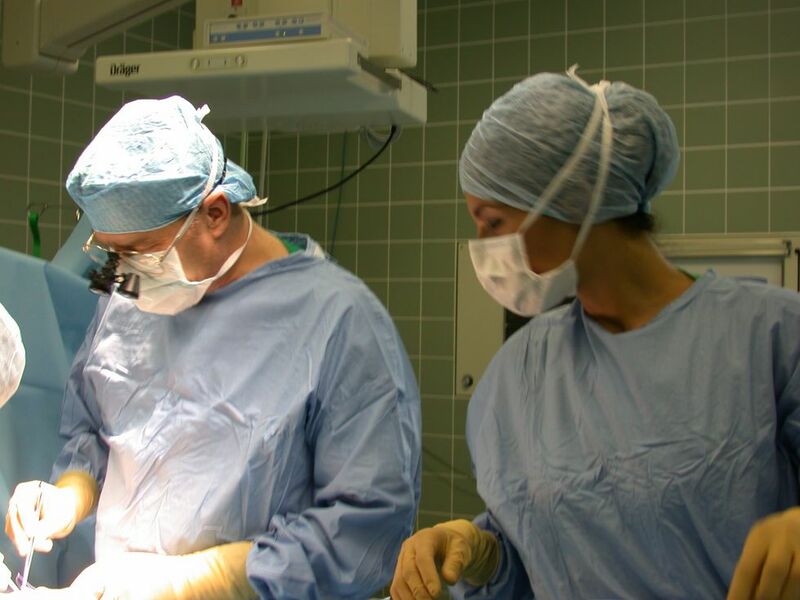 Evaluation der indirekten Kosten durch postoperative Arbeitsunfähigkeit nach Hüft-Endoprothetik. Günther KP, Hartmann A, Aikele P, Aus D, Ziegler J: Large femoral neck cysts in association with femoroacetabular impingement. A modification of periacetabular osteotomy using a two-incision approach. Short-term outcome after posterior versus lateral surgical approach for total hip arthroplasty – a prospective randomized trial. Arthroscopically assisted anterior decompression for femoroacetabular impingement: technique and early clinical results. Birmingham hip resurfacing arthroplasty: Short term clinical and radiographic outcome. In-Vivo Wear Rate of the Birmingham Hip Resurfacing Arthroplasty: A Review of Ten Retrieved Components. 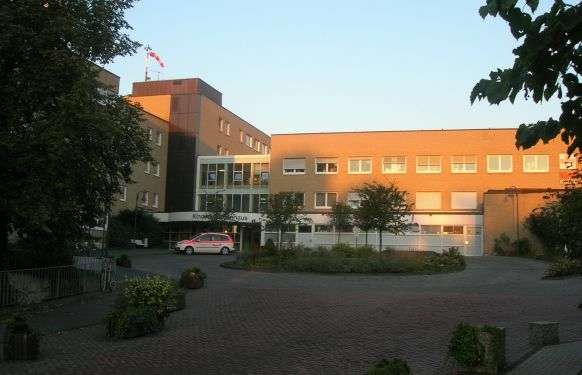 Koinzidenz von Hüftdysplasie und femuroazetabulärem Impingement – Klinisches Bild und operative Korrektur. The incremental cost effectiveness of in-patient versus out-patient rehabilitation after total hip arthroplasty – results of a pilot investigation. Computer-assisted and conventional total knee replacement. A comparative, prospective, randomised study with radiological and CT evaluation. Natürlicher Verlauf von Hüftreifungsstörungen und Hüftdysplasie. Variations in the pre-operative status of patients coming to primary hip replacement for osteoarthritis in European orthopaedic centres.es. Judge A, Cooper C, Arden NK, Williams S, Carr A, Hobbs N, Dixon D, Günther KP, Dreinhöfer K, Dieppe A.
Pre-operative expectation predicts 12-month post-operative outcome among patients undergoing primary total hip replacement in European orthopaedic centers. Azetabuläre Revisionsoperationen mit der längsovalen Revisionspfanne. Schäfer T, Biakowski S, Walther A, Fickert S, Krummenauere F, Günther KP: Preoperative importance of improvement and postoperative satisfaction in patients undergoing total hip replacement. Gossec L, Paternotte S, Bingham CO 3rd, Clegg DO, Coste P, Conaghan PG, Davis AM, Giacovelli G, Günther KP, Hawker G, Hochberg MC, Jordan JM, Katz JN, Kloppenburg M, Lanzarotti A, Lim K, Lohmander LS, Mahomed NN, Maillefert JF, Manno RL, March LM, Mazzuca SA, Pavelka K, Punzi L, Roos EM, Rovati LC, Shi H, Singh JA, Suarez-Almazor ME, Tajana-Messi E, Dougados M: OARSI/OMERACT initiative to define states of severity and indication for joint replacement in hip and knee osteoarthritis. An OMERACT 10 Special Interest Group. Judge A, Cooper C, Arden NK, Williams S, Hobbs N, Dixon D, Günther KP, Dreinhoefer K, Dieppe PA.
Pre-operative expectation predicts 12-month post-operative outcome among patients undergoing primary total hip replacement in European orthopaedic centres. Osteoarthritis Cartilage. 2011 Jun;19(6):659-67. Epub 2011 Apr 11. Gossec L, Paternotte S, Maillefert JF, Combescure C, Conaghan PG, Davis AM, Gunther KP, Hawker G, Hochberg M, Katz JN, Kloppenburg M, Lim K, Lohmander LS, Mahomed NN, March L, Pavelka K, Punzi L, Roos EM, Sanchez-Riera L, Singh JA, Suarez-Almazor ME, Dougados M; OARSI-OMERACT Task Force "total articular replacement as outcome measure in OA": The role of pain and functional impairment in the decision to recommend total joint replacement in hip and knee osteoarthritis: an international cross-sectional study of 1909 patients. Report of the OARSI-OMERACT Task Force on total joint replacement. Osteoarthritis Cartilage. 2011 Feb;19(2):147-54. Epub 2010 Oct 31. Wabitsch M, Horn M, Esch U, Mayer H, Moss A, Günther KP, Nelitz M.
Silent Slipped Capital Femoral Epiphysis in Overweight and Obese Children and Adolescents. European Journal of Pediatrics 2012 Oct;171(10):1461-5. Epub 2012 Apr 29. Günther KP: The role of comorbidities on total hip replacement outcome. Schäfer T, Pritzkuleit R, Jeszenszky C, Malzahn J, Maier W, Günther KP, Niethard FU. Trends and geographical variation of primary hip and knee joint replacement in Germany. Osteoarthritis Cartilage 2013 Feb;21(2):279-88. Günther KP, Schmitt J, Campbell P, Delaunay CP, Drexler H, Ettema HB, García-Cimbrelo E, Hannemann F, Hartmann A, Huberti H, Knahr K, Kunze J, Langton DJ, Lauer W, Learmonth I, Lohmann CH, Lützner J, Morlock M, Seidler A, Wimmer MA, Zagra L. Consensus statement "Current evidence on the management of metal-on-metal bearings" - April 16, 2012. Hip Int. 2013 Feb 21;23(1):2-5. doi: 10.5301/HIP.2013.10754. Haase E, Lange T, Lützner J, Kopkow C, Petzold T, Günther KP, Schmitt J.
Cartilage. 2016 Mar;24(3):480-3. doi: 10.1016/j.joca.2015.10.012. Goronzy J, Franken L, Hartmann A, Thielemann F, Postler A, Paulus T, Günther KP. What Are the Results of Surgical Treatment of Hip Dysplasia With Concomitant Cam Deformity? Clin Orthop Relat Res. 2017 Apr;475(4):1128-1137. doi: 10.1007/s11999-016-5054-2. Postler AE, Beyer F, Wegner T, Lützner J, Hartmann A, Ojodu I, Günther KP. Patient-reported outcomes after revision surgery compared to primary total hip arthroplasty. Hip Int. 2017 Mar 31;27(2):180-186. doi: 10.5301/hipint.5000436. Epub 2016 Nov 22. Bretschneider H, Stiehler M, Hartmann A, Boger E, Osswald C, Mollenhauer J, Gaissmaier C, Günther KP. Characterization of primary chondrocytes harvested from hips with femoroacetabular impingement. Osteoarthritis Cartilage. 2016 Sep;24(9):1622-8. doi: 10.1016/j.joca.2016.04.011. Epub 2016 Apr 12. Reliability and validity of clinical outcome measurements of osteoarthritis of the hip and knee - a review of the literature. 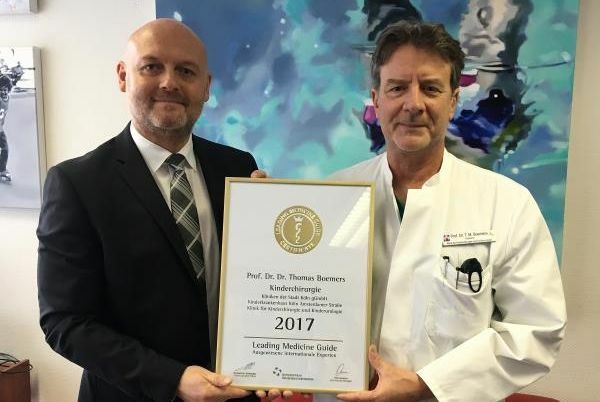 Standardisierung der Röntgendiagnostik bei Coxarthrose und Gonarthrose in klinischen Studien. Klinisches und sonographisches Screening der Säuglingshüfte. Hüftgelenk – Arthrose und Arthritis. Orthopädische Komorbiditäten bei Adipositas im Kindes- und Erwachsenenalter. Ergebnisse endoprothetischer versorgung bei Patienten vor dem 50.Lebensjahr. Möglichkeiten der Navigationsgestützten Knie- und Hüftendoprothetik. Kirschner S, Hamann C, Handreka S, Günther KP, Hartmann A.
Cassel M, Brecht P, Günther K-P, Mayer F. Endoprothesen und Sport. Dtsch Z Sportmed. 2017; 68: 38-42. Möglichkeiten der magnetresonanztomographischen Messung des femoralen Torsionswinkels. Günther KP: Ätiologie, Pathogenese und Epidemiologie der Coxarthrose. Ätiologie und Outcome der Osteoarthrose – Die Ulmer Osteoarthrosestudie. Evaluation der Indikationsstellung zum Hüftgelenkersatz. Konservative Behandlung in der Kinderorthopädie. Thielemann F, Günther KP, Stiehler M: Einfluss von Übergewicht auf den wachsenden und adulten Bewegungsapparat. Schäfer T, Jeszensky C, Günther KP, Niethard F: Regionale Unterschiede in der Inanspruchnahme von Hüft- und Knieendoprothesen. M. Stiehler, K.P. Günther: Epidemiologie des Hüftgelenkersatzes.